In collaboration with the Future Laboratory, Tia Maria launched Tia Maria Coffee Cocktail Futures earlier this month. Taking place at Chapter 72 in Bermondsey, the event saw the unveiling of a trend report from Tia Maria and the Future Laboratory, featuring insights on current and predicted drink trends. The Tia Maria Coffee Cocktail Futures trend report outlines the fact that hundreds of millions of people have developed palates able to appreciate once alien flavours. For a new generation of coffee and alcohol drinkers, this has meant a new adventurousness around previously unpopular tastes and combinations, such as bitterness and sweetness in the same recipe. The report also showed traditional gender stereotyping around food and drink is finally breaking down in the face of globalised experiences. The Future Laboratory also outlined four new cocktail ‘tribes’: ‘The Sensorialists’, ‘The Optimisers’, ‘The Experimental Connoisseurs’ and ‘The Truth Seekers’. At the event, a number of Tia Maria cocktails were also served, including an Iced Popcorn Frappe. 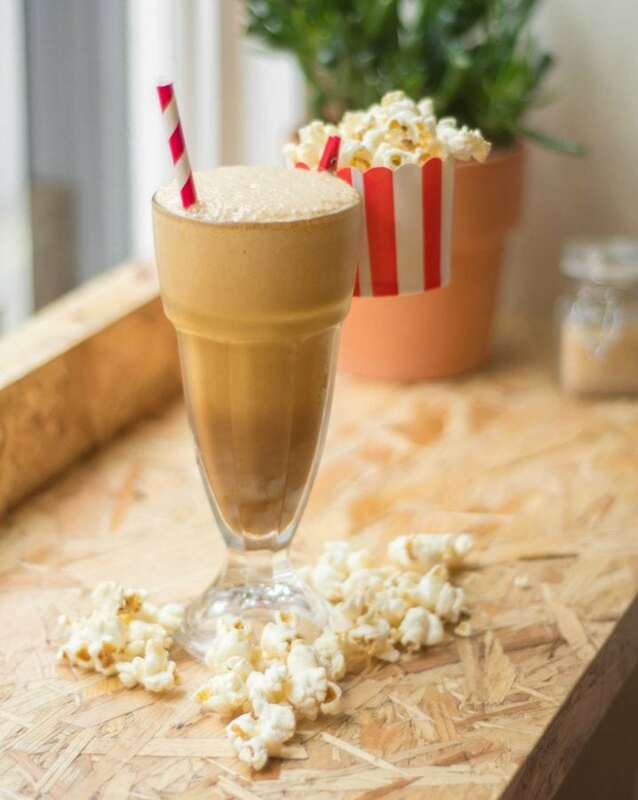 With a base of Tia Maria coffee liqueur, made with 100% Arabica coffee, vanilla and a splash of Jamaican rum, the drink also features espresso, milk and sweet popcorn syrup. Shake all of the ingredients together and pour, over cubed ice, into a glass. Garnish the drink with popcorn. Further information on Tia Maria coffee liqueur can be found here.